Large pores on the nose can be caused by a number of factors, including age, genetics and excessive skin oiliness. Although it's difficult to permanently alter pore size, there are treatments you can do at home to help reduce the appearance of nose pores. 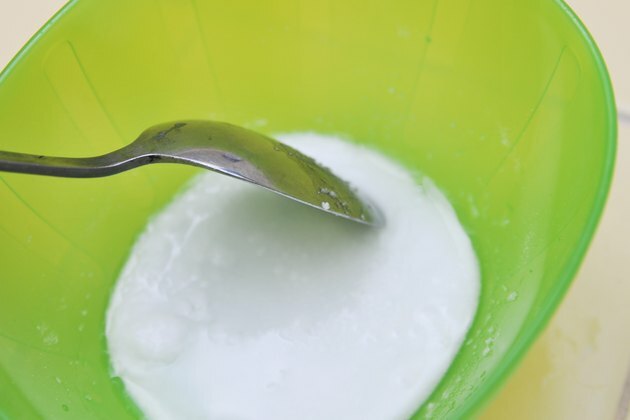 Cleansing, steaming and exfoliating the skin regularly will help shrink pores. You can also apply bentonite clay, which helps extract impurities from deep within the pores, once or twice a week. Fill a large pot with water and set it on the stove to boil. Wash your face with a gentle, oil-free facial cleanser to remove impurities from the skin without drying it out. Exfoliate the skin with a fine-grain exfoliant. Massage the skin gently in an upward circular motion for 60 seconds, and then rinse. 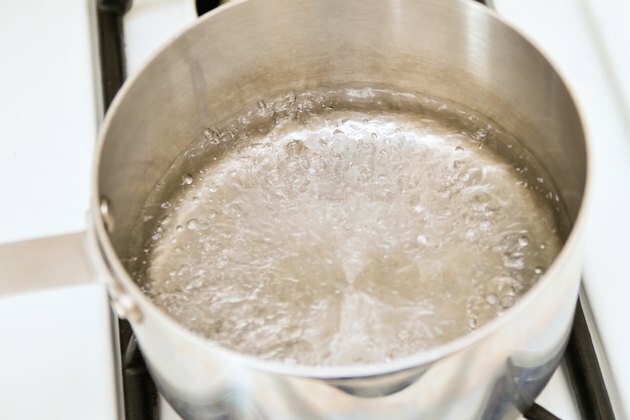 Remove the pot from the stove once the water has come to a boil and place it on a kitchen counter or easily accessible table. 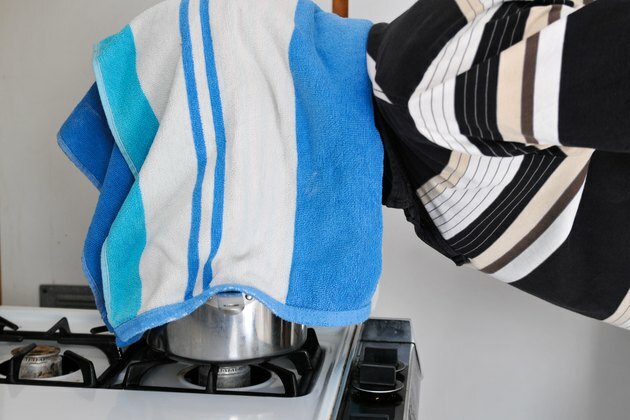 Place a towel over your head and shoulders and lean over the pot, allowing the steam to rise to your face. Take the edges of the towel and drape them around the sides of the pot making a " tent" to block outside air from coming in. Relax here for 10 minutes. Remove the towel from your head and pat your face dry. Mix 1 tablespoon of bentonite clay with enough warm water to make a thick paste. Apply the paste to your nose in a 1/8- to 1/4-inch-thick layer and allow the clay to dry thoroughly for about 15 minutes. Rinse the clay from your nose and pat dry. Pour a few drops of witch hazel onto a cotton ball and rub it over your nose to help tone and tighten the pores.